St. Hilda of Whitby Anglican Catholic Church - Your Spiritual Home - Who Was St. Hilda of Whitby? Abbess, born 614; died 680. Practically speaking, all our knowledge of St. Hilda is derived from the pages of Bede. She was the daughter of Hereric, the nephew of King Edwin of Northumbria, and she seems like her great-uncle to have become a Christian through the preaching of St. Paulinus about the year 627, when she was thirteen years old. Under the rule of St. Hilda the monastery at Whitby became very famous. The Sacred Scriptureswere specially studied there, and no less than five of the inmates became bishops, St. John, Bishop of Hexham, and still more St. Wilfrid, Bishop of York, rendering untold service to the Anglo-Saxon Church at this critical period of the struggle with paganism. Here, in 664, was held the important synod at which King Oswy, convinced by the arguments of St. Wilfrid, decided the observance of Easter and other moot points. St. Hilda herself later on seems to have sided with Theodore against Wilfrid. The fame of St. Hilda's wisdom was so great that from far and near monks and even royal personages came to consult her. Seven years before her death the saint was stricken down with a grievous fever which never left her till she breathed her last, but, in spite of this, she neglected none of her duties to God or to her subjects. She passed away most peacefully after receiving the Holy Viaticum, and the tolling of the monastery bell was heard miraculously at Hackness thirteen miles away, where also a devout nun named Begu saw the soul of St. Hilda borne to heaven by angels. The cultus of St. Hilda from an early period is attested by the inclusion of her name in the calendar of St. Willibrord, written at the beginning of the eighth century. It was alleged at a later date the remains of St. Hilda were translated to Glastonbury by King Edmund, but this is only part of the "great Glastonbury myth." Another story states that St. Edmund brought her relics to Gloucester.St. Hilda's feast seems to have been kept on 17 November. There are a dozen or more old English churches dedicated to St. Hilda on the northeast coast and South Shields is probably a corruption of St. Hilda. Moved by the example of her sister Hereswith, who, after marrying Ethelhere of East Anglia, became a nun at Chelles in Gaul, Hilda also journeyed to East Anglia, intending to follow her sister abroad. But St. Aidan recalled her to her own country, and after leading a monastic life for a while on the north bank of the Wear and afterwards at Hartlepool, where she ruled a double monasteryof monks and nuns with great success, Hilda eventually undertook to set in order a monastery at Streaneshalch, a place to which the Danes a century or two later gave the name of Whitby. With St. Hilda is intimately connected the story of Caedmon, the sacred bard. When he was brought before St. Hilda she admitted him to take monastic vows in her monastery, where he most piously died. The English princess Hilda led a virtuous life in the world until at the age of thirty-three she resolved to consecrate hervirginity to God as a nun. She had at first planned to leave her native land to enter a convent in France where her sister was a nun, “to live an exile for our Lord’s sake…so that she might the more easily attain her eternal heavenly home” (as SaintBede relates). But Hilda was instead persuaded to enter an English convent in Northumbria. Thereafter, she was chosen to become abbess of the nearby double-monastery of Hartlepool, a religious community of monks and nuns living separately in adjoining convents. Later, she served as abbessof another double monastery that came to be known as Whitby. Hilda was a zealous advocate of Scripture studies. Her great virtue and prudence became known outside the monastery, inspiring the conversions of many sinners. Toward the end of her life, she suffered from a lingering illness that subjected her to a continuous high fever. Despite her physical misery, she directed her thoughts to offering thanksgiving to God. Hilda is commemorated on November 17. Hilda of Whitby or Hild of Whitby (c. 614–680) was aChristian saint and the founding abbess of the monastery atWhitby, which was chosen as the venue for the Synod of Whitby. An important figure in the conversion of England to Christianity, she was abbess at several monasteries and recognized for the wisdom that drew kings to her for advice. The source of information about Hilda is The Ecclesiastical History of the English by the Venerable Bede in 731, who was born approximately eight years before her death. He documented much of the conversion away from the Anglo-Saxon paganism established in England when it was invaded and settled by Germanic tribes that resulted in the recall of the legions of the Roman Empire from the province of Britannia in 410. According to Bede, Hilda (or Hild, the Old English form of her name) was born in 614, the second daughter ofHereric, nephew of Edwin of Northumbria, and his wife Breguswith. Her elder sister, Hereswith, married Æthelric, brother of King Anna of East Anglia, who with all of his daughters became renowned for their saintly Christian virtues. Subsequently Hereswith became a nun at Chelles, Gaul (France); Hilda followed her example and founded Whitby. When Hilda was still an infant, her father was murdered by poison while in exile at the court of the British King of Elmet in what is now West Yorkshire.She was brought up at King Edwin's court in Northumbria. In 627 King Edwin was baptised on Easter Day, April 12, along with his entire court, which included Hilda, in a small wooden church hastily constructed for the occasion near the site of the present York Minster. The ceremony was performed by the monk-bishop Paulinus, who had come from Rome with Augustine at the request of the pope on what is referred to as the Gregorian mission. He accompanied Æthelburg of Kent, a Christian princess, who was the daughter of King Ethelbert of Kent and the Merovingian princess Saint Bertha, when Æthelburg came North from Kent to marry King Edwin. As queen, Æthelburg continued to practice her Christianity and no doubt influenced her husband's thinking, as her mother had influenced her father. From the date of her baptism until 647 nothing is known about Hilda. It seems likely that when King Edwin was killed in battle in 633 she went to live with her sister at the East Anglian court. Bede resumes her story at a point when she was about to join her widowed sister at Chelles Abbey in Gaul. At the age of 33, Hilda decided instead, to answer the call of St. Aidan, Bishop of Lindisfarne and chose to return to Northumbria to live as a nun. Hilda's original convent is not known, except that it was on the north bank of the River Wear. Here, with a few companions, she learned the traditions of Celtic monasticism, which Aidan brought from Iona. After a year Aidan appointed Hilda as the second Abbess of Hartlepool Abbey. No trace remains of this abbey, but its monastic cemetery has been found near the present St. Hilda's Church, Hartlepool. In 657 Hilda became the founding abbess of a new monastery at Whitby, then known as Streonshalh; she remained there until her death. Archaeological evidence shows that her monastery was in the Celtic style, with its members living in small houses, each for two or three people. The tradition in double monasteries, such as Hartlepool and Whitby, was that men and women lived separately, but worshipped together in church. The exact location and size of the church associated with this monastery, is unknown. 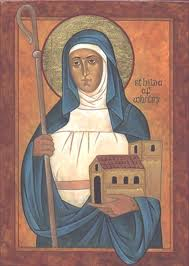 Bede states that the original ideals of monasticism were maintained strictly in Hilda's abbey. All property and goods were held in common; Christian virtues were exercised, especially peace and charity. Everyone had to study the Bible and do good works. Five men from this monastery became bishops and two also join Hilda in being revered as saints - Saint John of Beverley, Bishop of Hexham, and St. Wilfrid, Bishop of York. They rendered untold service to the Anglo-Saxon Church at this critical period of the struggle with paganism. Bede describes Hilda as a woman of great energy, who was a skilled administrator and teacher. She gained such a reputation for wisdom that kings and princes sought her advice. She also had a concern for ordinary folk such as Cædmon, however. He was a herder at the monastery, who was inspired in a dream to sing verses in praise of God. Hilda recognized his gift and encouraged him to develop it. Although Hilda must have had a strong character she inspired affection. As Bede writes, "All who knew her called her mother because of her outstanding devotion and grace". 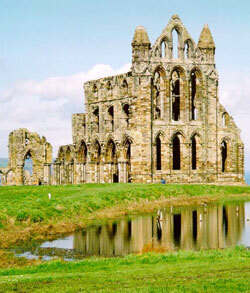 King Oswiu chose Hilda's monastery as the venue for the Synod of Whitby, the first synod of the Church in his kingdom. He invited churchmen from as far away as Wessex to attend the synod. Most of those present, including Hilda, accepted the King's decision to adopt the method of calculating Eastercurrently used in Rome, establishing Roman practice as the norm in Northumbria. The monks from Lindisfarne, who would not accept this, withdrew to Iona and later, to Ireland. Hilda suffered from fever for the last six years of her life, but she continued to work until her death on November 17, 680, at what was then thought to be the advanced age of sixty-six. In her last year she set up another monastery, fourteen miles from Whitby, at Hackness. She died after receiving viaticum, and her legend holds that at the moment of her passing the bells of the monastery of Hackness tolled. A nun named Begu also claimed to have witnessed Hilda's soul being borne to heaven by angels. Hilda was succeeded as abbess by Eanflæd, widow of King Oswiu, and her daughter, Ælfflæd. 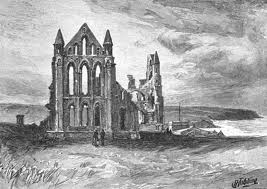 From then onward we know nothing about the abbey at Whitby until it was destroyed by the Danish invaders in 867. After the Norman conquest of England that began in 1066 AD, monks from Evesham re-founded the abbey as aBenedictine house for men. Thus it continued until the Dissolution of the Monasteries by King Henry VIII in 1539. A local legend says that when sea birds fly over the abbey they dip their wings in honour of Saint Hilda. Another legend tells of a plague of snakes which Hilda turned to stone, supposedly explaining the presence of ammonitefossils on the shore; heads were carved onto these 'petrified snakes' to honour this legend. In fact, the ammonite genus Hildoceras takes its scientific name from St. Hilda. It was not unknown for local “artisans” to carve snakes' heads onto ammonites, and sell these “relics” as proof of her miracle. The coat of arms of nearby Whitby includes three such 'snakestones'. From the late nineteenth century until the present day, there has been a revival of interest in and devotion to, St. Hilda. With the development of education for modern women she has become the patron of many schools and colleges all over the world. College of St Hild and St Bede, Durham, St Hilda's College, Oxford and St Hilda's College (University of Melbourne) and St Hilda's Collegiate School, Dunedin are named after Saint Hilda. 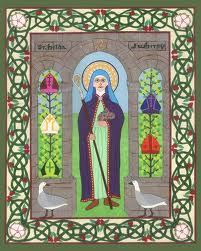 Hilda is considered one of the patron saints of learning and culture, including poetry, due to her patronage of Cædmon. Two churches in Whitby, (Roman Catholic and Anglican), have been dedicated under her patronage and another, in Bilsborrow, Lancashire. There is an Anglican church named after St. Hilda in the Cross Green area of Leeds. It was opened in September 1882. There is a statue of St. Hilda in the nave, depicting her as the Mother of her Abbey at Whitby. She also appears in a stained glass window at the east end of the church. The church still is active and a sung mass is held there every Sunday. Several small streets in the immediate area are named after the church - St. Hilda's Mount, St. Hilda's Road, among them. Since 1915 at St. Hilda's Priory, Sneaton Castle, on the western edge of Whitby town, there has been a community of Anglican sisters - the Order of the Holy Paraclete - which draws inspiration from the monastic and educational ideals of St. Hilda. More recently, the Community of St. Aidan and St. Hilda has been founded on Lindisfarne. In the Roman Catholic church, the feast day of St. Hilda is November 17, in other parts of the Anglican Communion, her feast is on November 18, in the Church of England however, it is kept on November 19. In the calendar approved for the Anglican Use in the Roman Catholic Church, the feast day of St. Hilda is celebrated on June 23, together with those of St. Etheldreda, Abbess of Ely, d. 679, and St. Mildred, Abbess of Minster-in-Thanet, d. c.700. On the upper west side of Manhattan in New York City is St. Hilda's and St. Hugh's School. 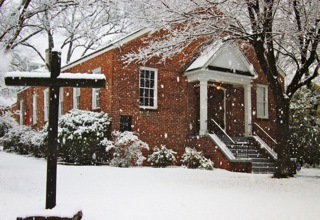 St. Hilda’s and St. Hugh’s School is an independent Episcopal day school that opened its doors in 1950. The school is coeducational and includes toddlers through grade eight. St.Hilda's College at the University of Melbourne was founded in 1964 as the college for women associated with the (then) exclusively male colleges Ormond (Presbyterian) and Queens (Methodist), becoming co-educational in 1973. St. Hilda's College, University of Toronto is the women's college of University of Trinity College. Although the schools have long been merged, only recently has the formerly women-only residence been made co-educational. Saint Hilda is honoured as co-patron (with Our Lady) of the Lady Chapel where daily services are held by Trinity's Faculty of Divinity. There are two schools situated in Australia in recognition of St. Hilda. They are both 'St. Hilda's Anglican School for Girls' which is an independent, girls' school in Southport, South-East Australia and Mosman Park,Western Australia. (http://www.sthildas.qld.edu.au/) and (http://www.sthildas.wa.edu.au/). St. Hilda is the patron saint of the National Cathedral School for Girls in Washington, D.C.
St. Hilda also is famous in Singapore, being honored in St. Hilda's Primary and Secondary schools. St. Hilda's Diocesan High School is an Anglican boarding school for girls in Brown's Town, St. Ann, Jamaica. The grade levels go up to Fifth Form. The school was founded by Canon James Philip Hall, who was then Rector of St. Mark's Anglican Church in Brown's Town, in 1906-1907.